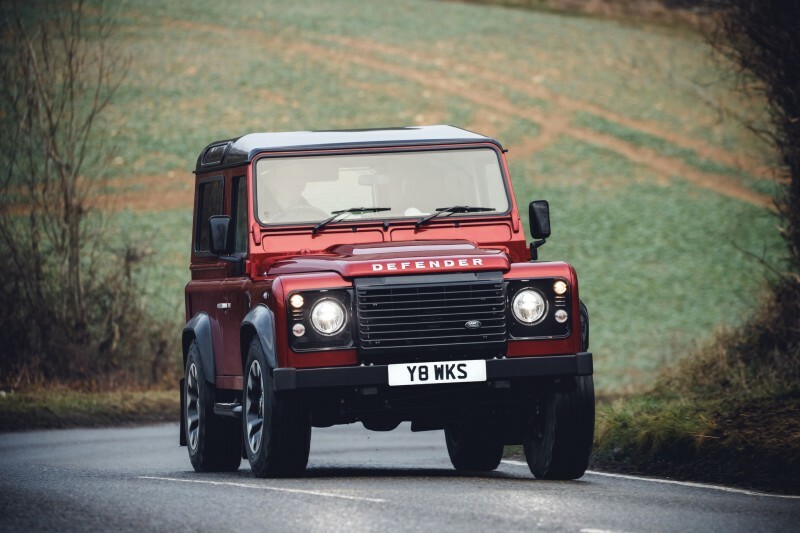 Defender Works V8 is the most powerful and fastest version that Land Rover has ever created. The 5.0-litre naturally-aspirated petrol V8 powertrain produced 405PS and 515 Nm of torque (the standard Defender delivered 122PS and 360 Nm). 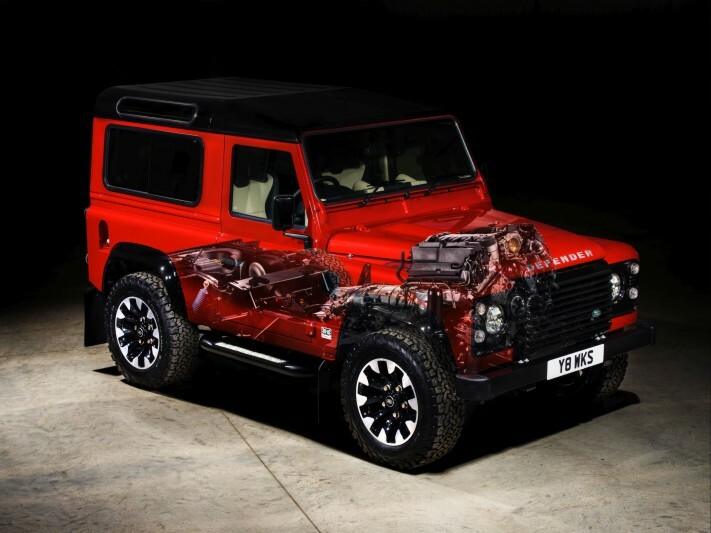 The Defender Works V8 will accelerate from 0-60mph in 5.6sec*, while top speed is increased to 106mph. 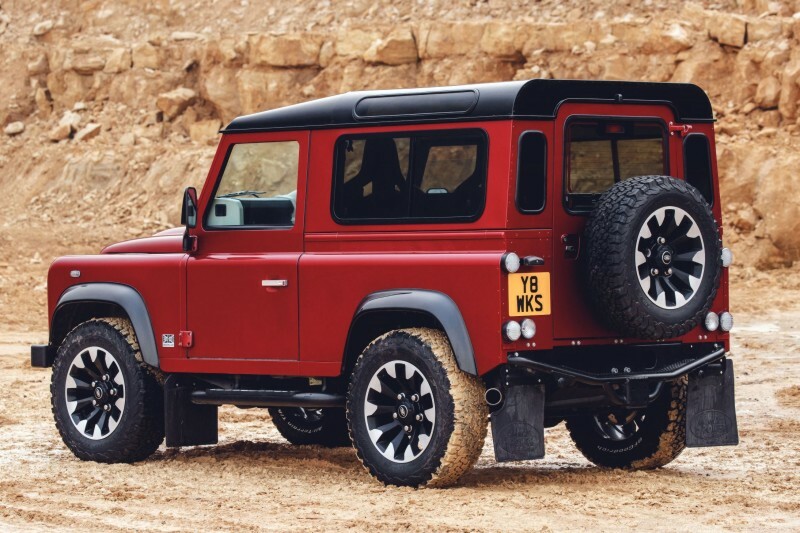 be fitted to 150 specially-selected and re-engineered Defenders for the 70th Edition, complemented by an eight-speed ZF automatic transmission with sport mode, uprated brakes and handling kit (springs, dampers and anti-roll bars), plus exclusive 18-inch diamond-turned Sawtooth alloy wheels and 265/65 R18 all-terrain tyres. The all-new Defender is subject to further announcements. •	V8 powertrains in the Land Rover Defender and its production predecessors started with the Series III Stage 1 V8 of 1979. The carburetted 3.5-litre Rover V8 produced 90bhp. •	The Land Rover One Ten from 1983, and Ninety from 1984, used the same 3.5-litre Rover V8 engine as the Series III Stage 1 V8, but in 113bhp form, uprated to 135bhp from 1987. •	For North American Specification (NAS) Defender 90s and 110s only, from 1992, a 182bhp fuel-injected 3.9-litre version of the Rover V8 was fitted, along with a four-speed automatic transmission. •	In 1998, the fuel-injected 190bhp 4.0-litre V8 from the second-generation Range Rover was fitted to a limited run of 50th Anniversary Defender 90s, with a four-speed automatic transmission. •	5.0-litre naturally-aspirated 2018 Defender Works V8 is the first official V8-powered Land Rover Defender to be introduced since 1998. Since 1948 Land Rover has been manufacturing authentic 4x4s that represent true 'breadth of capability' across the model range. Defender, Discovery, Discovery Sport, Range Rover, Range Rover Sport, Range Rover Velar and Range Rover Evoque each define the world's SUV sectors, with 80 per cent of this model range exported to over100 countries.